Sneak Peak from New Balance and runDisney coming soon! NewBalance runDisney running shoes sold exclusively at runDisney event expos! During Walt Disney World Marathon Weekend this year, runDisney proudly joined with New Balance and a brand new obsession was formed for me!! That's right. I've always been a Nike shoe wearer but I knew if New Balance was teaming up with my favorite race program there had to be something to that! New Balance had also announced a new running shoe made specifically for runDisney and they were themed after Mickey and Minnie Mouse! Are you kidding me?? Polka dots and all. I'm not kidding. I love everything about this!! Check out the video of how these shoes came to be! I had gotten to the expo as soon as it opened during Marathon weekend but with the big announcement also came a mad rush for these VERY limited edition shoes. It just about killed me running the Goofy Challenge and seeing all of those Minnie and Mickey shoes around me!! Everytime I saw someone wearing them, I would make sure to yell out..."LOVE your shoes!" I did love them. Still do. 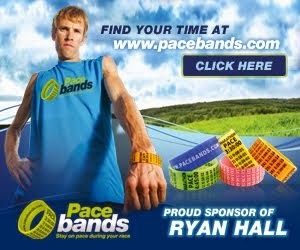 Fast forward to the Princess Half Marathon Expo...Again, I was first in line. However, this time the Expo was held at Disney's Coronado Springs Resort and when we arrived, the castmembers directing traffic had separated the crowds into two lines. We had to make a choice. Either we got in line to the left for the New Balance/RunDisney shoes or we went to the right and could go into the Expo to the official Merchandise/Bib area. Oh my gosh, this was SO hard to decide! I wanted the shoes but I had run all five Princess Half Marathons (Perfect Princess..this was a BIG deal to me) and the Official Merchandise sells out sooooo quick!! I knew I couldn't pass up the Official Merchandise and would just have to take my chances with the shoes. Once again, I left the Expo with no shoes!! Boo! The good news?? I'm registered for 9 runDisney events in the future. SURELY, I can score some shoes!! that there WILL be a new runDisney shoe for 2014! The EVEN BETTER NEWS??? I was lucky enough to attend Disney Sports Festival at ESPN Wide World of Sports Complex a couple of weeks ago and the New Balance crew was there giving us the heads up that they are in the process of designing a NEW SHOE made specifically for runDisney!! The shoes will be available for the 2014 year. Also teasers for the new shoes will begin during the 2013 Wine and Dine Half Marathon Weekend (November 8-9th)!! I couldn't have been happier!! Now fingers crossed for good flight times and being able to make it to the Expo to get my size! The New Balance team getting ready to run in the fun run through Epcot during Disney Sports Festival. New Balance gets out there with the other runners...LOVE that! 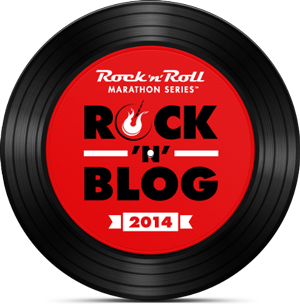 New Balance also gave us some great advice and tips when training to run any distance! Drink water throughout the day, pre and post workout. Incorrect footwear is the #1 cause of running injuries. Get in the routine of spending a few minutes doing some light stretching to get loos before you run. Focus on your calves, quads, hamstrings and hip flexors, all muscles that get especially tight when we sit for long periods. Always start every workout with your slowest effort in the first 10 minutes. Let your body get warmed up. Set a race goal for yourself. It's an easy way to stay motivated and (believe it or not) make it more fun. It's much harder to miss a day when someone else is relying on you. Set a time to meet someone at least 1-2 times a week. Keep your runs fresh and fun by varying your runs. 2. Try a destination run: have a friend meet you at the end of your run. 3. Try a "song fartlek: while listening to music, run medium hard for a song and then easy to recover for the next for a total of 3-5 sets. 1. Posture: head and gaze should be up and forward. 2. Midfoot: foot should strike in your midfoot, not your heel. 3. Cadence: shoot for shorter, faster strides. 4. Lean: Use the weight of your body to propel yourself forward. The Official running shoe of runDisney. RunDisney Dopey Challenge Training Plan Update! WOW! I can't believe I've already wrapped up weeks 3 and 4 of my runDisney Dopey Challenge training schedule! Week 3 was a little bit of a blur because I was down at Walt Disney World having the time of my life at #DisneySportsFestival!! You can see some of the highlight pics from that trip here. Running the fun run through Epcot and the New Balance Running Trails with my kids has gotten me just that much more excited to be running the Twilight Zone Tower of Terror 10 Mile and Happy Haunted Trails 5k in early October!! I'm ready to take these two races on!!! Go here to see my entire Dopey Challenge Training Schedule! Welcome to the family, Main Street Bakery! My very first Triple Grande Latte with whip at Walt Disney World. 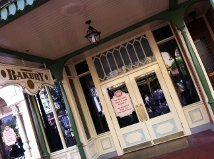 When I read the official announcement of the addition of Starbucks coming to the Main Street Bakery at Walt Disney World, I have to admit that I was a little worried just like many others that the Main Street Bakery would never be the same. My main concern was that the Main Street Bakery would lose it's "Main Street feel". Don't get me wrong...I'm a HUGE fan of Starbucks coffee and definitely welcome the coffee to the Disney Parks but I was a little nervous for the addition of the building itself. However, I was still confident that Disney could pull it off, no problem. 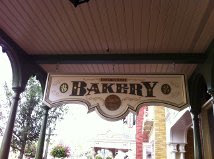 I had just been down for the Princess Half in February and the Bakery was under refurbishment....aaaahhh!! I'd have to wait just a bit to see it. Luckily, on my trip a couple of weeks ago it was open for business!! My assessment??? LOVED it!!! I never got the feeling that I was in a modern new-aged Starbucks like at home. It felt like a "Disney" Starbucks. Yep. They had done it...and done it well! The morning that I was there it was not too crowded so I was able to take a few pictures. Starbucks sign hanging in the entry. Not too crowded this morning. Refrigerated case full of drinks and snack options. Cast Members/Baristas hard at work. There were all of the Starbucks pastry favorites available and usual Starbucks drinks too. The Disney Dining Plan is also accepted here ...now that's pretty cool! Cake Pops count as a Snack credit on the Disney Dining plan. I wish every cup and credit card machine looked like this! Some of the old tables had been removed and it was spacious enough to accommodate large crowds. While some of the old "Main Street Bakery" pastries were not available anymore, I don't think that the new Starbucks will be a huge let-down for Disney fans. I gotta admit that I could NOT wait to take a picture of my very first Starbucks on Main Street! If I had to have one complaint about my whole experience, it would be that they did not sell Disney/Starbucks Souvenir Coffee Mugs....I would have bought just a few of those!! Welcome to the family, Starbucks!! Can't wait to see you in all of the Disney Parks! #DisneySportsFestival TEAM MOMS Make Travel a Dream Come True! ESPN Wide World of Sports Summer Festival!! ESPN Wide World of Sports Complex, a 255-acre complex, which hosts more than 350 events and 350,000 athletes from more than 70 countries each year, is the leading multi-sport venue for amateur and professional sports in the nation, accommodating 70 different sports. WOW!! I had no idea the Complex was that huge!!! 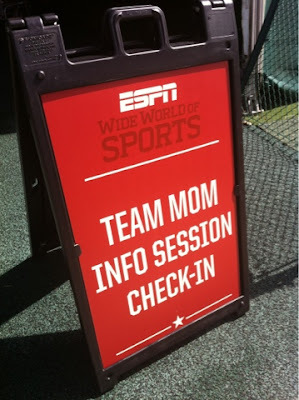 I was really excited to see on our itinerary during 2013 ESPN Wide World of Sports Summer Festival tour that a few minutes were blocked off for a TEAM MOM Breakfast Reception. TEAM MOM Info Session in Progress! I was anxious to hear how the TEAM MOMS played a role in the planning process for the youth sports competitions held at ESPN Wide World of Sports Complex. I know alot about planning our family vacation to Disney Parks and my running vacations but what I realized during my visit to the Mom Info Session is that I don't know a whole lot when it comes to organizing and planning for an entire sports team to go to Walt Disney World!! There are a ton of fun, tiny details that if planned ahead of time properly, can make each sports travel vacation just as magical as my own family vacation! 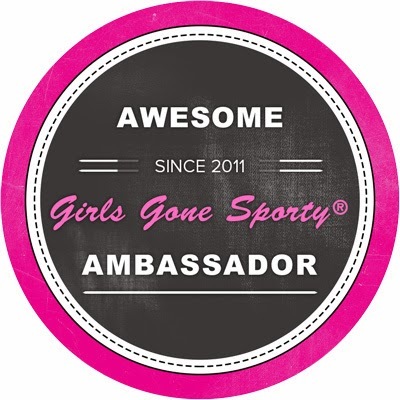 So here we go...this Sports Mom is ready to learn!! I'm a Disney Parks Moms Panel Fan! During the runDisney Inaugural Twilight Zone Tower of Terror 10 Miler Weekend last year, I was lucky enough to be chosen to attend the Disney Parks Mom Panelist luncheon at the The California Grill Restaurant where I was able to meet many of the moms (and Dads) on the Disney Parks Moms Panel, ask them questions in person about their experiences on being a member on the panel, vacation planning tips and talked about all sorts of great "Disney Mom Talk". I got a photo with one of my favorite moms, Lori, the runDisney Mom!! I've met Lori at several of the races and its always great "running in to her". This was such a cool experience for me because I got my first glimpse of hearing some of the Moms' personal stories to go along with the answers to my many questions about planning that magical vacation! So what exactly IS a TEAM MOM at ESPN Wide Word of Sports Complex??? The TEAM MOM is the Ultimate Travel Planner, Key Influencer and Decision Maker in the sports travel experience here at ESPN Wide World of Sports and Walt Disney World. I think most families are like mine...I'm the planner, Dad is the Coach. The Disney Parks Moms Panel currently has two moms Audra A. and Angie G. specializing in answering questions for TEAM MOMS and Coaches to make their youth sports travel easier. The Moms Panel is an excellent resource to receive answers and planning tips regarding all aspects of your Disney Parks Vacation. Head over to www.DisneyParksMomsPanel.com to ask these ladies (and gentlemen) tips on pre-planning your next trip to Walt Disney World and ESPN Wide World of Sports Complex! Audra was on hand inside the TEAM MOM Info Session Tent to answer all of the questions for the Team Mom, Parents and Coaches. We got to sit in for a few minutes and see her in action! your next Team trip to ESPN Wide World of Sports Complex. Time for a photo with the ESPN Mom!! Now hands on the hips! Striking a pose!! I have to say that even though my kids play sports and I've always been the "Team Mom" for my kids' ball teams at home, there are SO many things that I learned through this info session about planning a youth sporting event at ESPN Wide World of Sports Complex. The amenities at the ESPNWWOS are fabulous!! 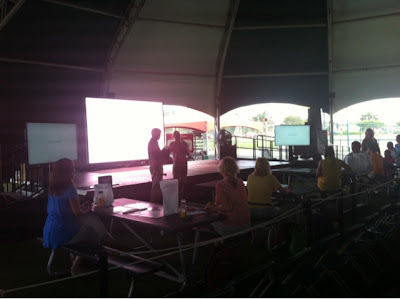 and gather useful information to aid in a successful team experience at the ESPN Wide World of Sports Complex. Guests can purchase tickets, make dining reservations and more! Dream Team Donation Program-Disney is giving teams the opportunity to raffle off a Disney Vacation as well as keeping 75% of proceeds from raffle ticket sales. 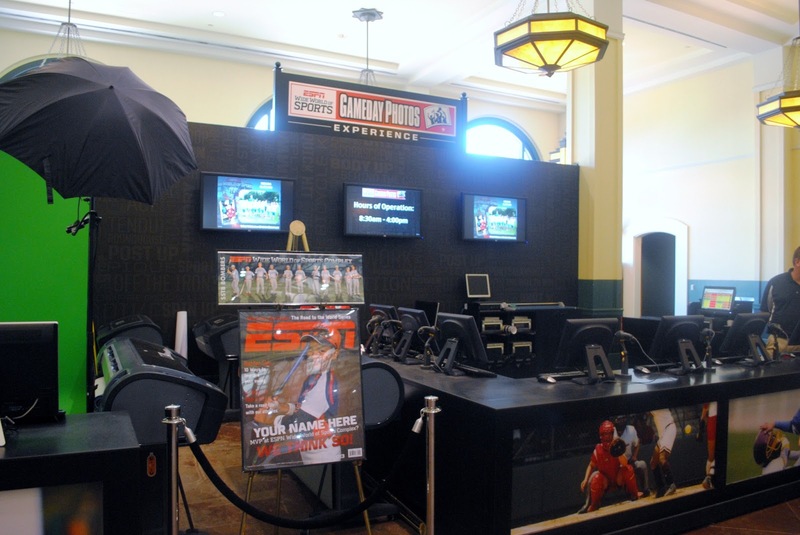 Teams have the opportunity to sell ESPN magazine subscriptions and keep 75% o all profits. Disney facilitated a program with Enterprise Rent-A-Car and Alamo Rent a Car which allows a team to earn fundraising dollars by gaining 5% of every rental car purchase through the team's fundraiser site. 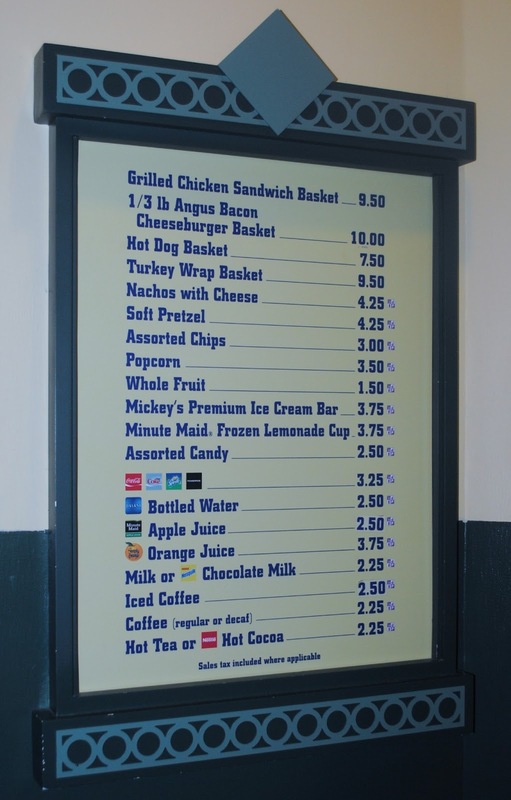 Disney offers high quality boxed lunches, bulk pizza, group snacks and stocked coolers to be delivered to coaches, athletes and parents at the team's competition venue. In addition, Disney facilitates group dining reservations based on the team's schedule through the ESPN Wide World of Sports Welcome Center on-site at the Complex. Concessions are available throughout the Complex for fans, families and athletes. Disney has a team of photographers who will take pictures of athletes during games for parents and coaches to take back home with them. Also, they can watch game day highlights from ESPN Wide World of Sports Complex on Channel 25 from the comfort of their Walt Disney World Resort hotel room and some games are broadcast live on ESPN3.com. (A Key advantage to staying on property). Broadcasting live at ESPN Wide World of Sport Complex. Gameday Photo Experience-View your Gameday photos and create custom photo keepsakes including posters and covers of ESPN The Magazine. View your Gameday Photos here! Disney offers free transportation from the airport to all Disney hotels as well as chartered bus service from selected Disney hotels saving parents and coaches the time and hassle of renting cars and traffic. can accommodate large groups specifically like those that would be competing at the ESPN Wide World of Sports Complex. Disney certified athletic trainers on site to attend to all athletes needs saving parents the time and effort of going to see an athletic trainer away from the competition. Coaches can drop off their team's equipment at the front of ESPN Wide World of Sports Complex and it will be delivered to team's field of play. Bag Drop off at the front entrance at ESPN Wide World of Sports Complex. For busy parents and coaches who need to keep up with their careers while away watching their kid's compete at the complex. Charging stations available for the busy mom. Cheer card supplies available to make cheer cards for the youth athletes. Moms are able to plan, organize, recharge in the Office Max Business Center. Office Max offer Charging Station lockers in the Office Max Business Center. Charging outlets, Cheer Card Supplies. Disney provides activities for younger siblings, freeing parents and coaches up so they can stay focused on the competition. Plenty of activities for siblings and families to enjoy in between game times. that the TEAM MOMS play in planning the activities for the teams here at ESPN Wide World of Sports Complex. There were lots of fun activities going on inside of the TEAM MOM Info Session Tent! I thoroughly enjoyed getting to know Audra from the Disney Parks Moms Panel, speaking with Tina and Carissa from runDisney, seeing the Office Max Charging Station, meeting the Cabot Cheese Fit Team and of course getting lots of pictures!! Two of the coolest Moms I know! ESPN Wide World of Sports Summer Festival. Free Food, giveaways and prizes at this reception planned especially for the team parent at the Festival Center. Time for another photo shoot with blogger extraordinaire, Amanda and former Disney Parks Moms Panelist, Carrie! **For more information on the amenities offered at ESPN Wide World of Sports Complex visit www.espnwwos.com. **Submit your questions regarding Walt Disney World vacation pre-planning experience to AudraA, AngieG. and Lori. 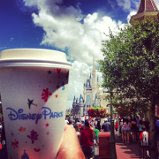 www.disneyparksmomspanel.com. I hope you enjoyed learning about the Disney Moms Panel and the ESPN Wide World of Sports Complex as much as I did! I'm hoping for an opportunity now for one of my children to be able to compete at the Complex so I will be able to be the TEAM MOM and make our Team Travel a Dream Come True!! Disney Trip posts in progress!